After a long cold winter, nothing prepares you for spring more than a beautiful, clean and spruced up garden and yard. The spring clean up includes removing any remaining leaves and sticks etc from the shrub beds and the turf areas, removing the dead perennial blossoms from the previous year, pruning back the ornamental grasses and touch up pruning of the ornamental trees and shrubs. 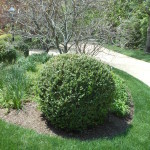 Re edging (spade cut) all of the shrub beds, applying pre emergent weed control and mulch to the shrub beds as needed. When re edging the shrub beds we remove all the stripping from the property. Discarding of the stripped soil and grass into the shrub beds promotes weed germination and smother s the roots of the trees and shrubs planted in the shrub beds. 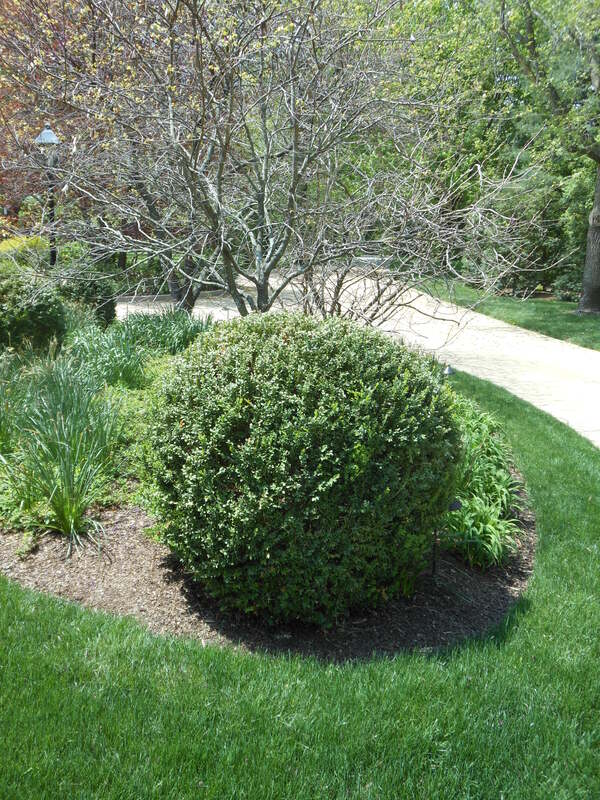 When applying mulch to the shrub beds it is applied at a depth of 1-3 inches depending on the depth of the existing mulch and the variety of existing shrubs. We use only the highest quality premium double ground shredded Oak bark mulch and screened Pine bark mulch. The mulch is aged giving it a rich dark color.